The crack that will send the great west African whore to its final obliteration from world map has begun. There are undeniable, and unhidden evidence of this crack on a daily basis. It started gradually following Muhammad Buhari's obstinate and ostensible attitude towards Biafra's peaceful agitation for freedom. Now it is getting clearer and more serious. People especially those in the government are now crying out but not in the sense to save their dying rogue state, but because their pocket is becoming dry from the oil loot. Recently Mr. Garbage Shehu came to the press to cry over the current holy activities of Niger Delta Avengers (NDA). The tone of his noticeable angry statement reads in part; " out of the blue a group calling itself the Niger Delta Avengers spouts. They kill soldiers and policemen. They kidnap and kill oil company workers. Piracy on the high seas. They asked oil companies to stop operations and park out of the Niger Delta region. They blew up oil pipelines, power, and other infrastructure. They attack and kill prominent individuals, attack and ransack homes up and down the coastal areas, including lately, Lagos and Ogun States. All these for what." From the very horses mouth, we carefully deduced that something is actually happening in the Niger Delta which we hardly read in the news. Though the Niger Delta Avengers refuted Garbage Shehu's allegation, they made a startling revelation that the people attacking soldiers are what NDA termed " sleepers agent." Who is this sleeper agent being talked about? Investigation shows that Nigeria has secretly paid agents they use to scuttle activities both in the Niger Delta regions and other places of Biafra land. These agents are promised "heavens and earth" for them to deliver to the government which later failed them. The agents having been disappointed have no other option than to turn against their paymaster who used and dumped them. That is the gist of what Niger Delta Avengers are saying. But Garbage Shehu presented the other way because he knows the implication of what the government he is working for are doing. The Avengers have equally advised him to make his research well and know the fact, stating that they don't know where and how he got his information. That automatically puts the record straight. But the special adviser on media will always lie like his other colleagues in government. 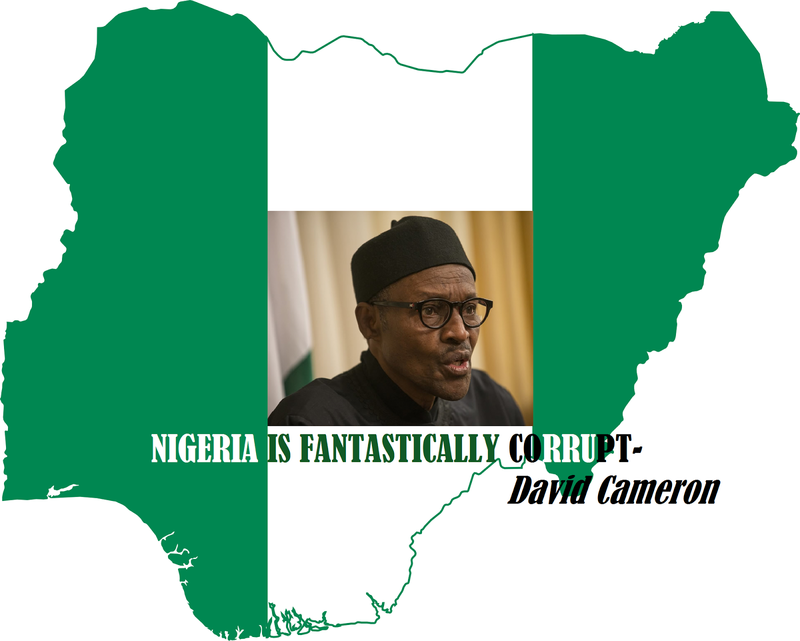 But as they continue to lie, the cracks leading to Nigeria's demise gets bolder, wider, and more noticeable. As we speak, nature has waged into the Biafra Struggle, and you know that Nigeria is finished following this phenomenon. It is now hunger striking the north! Nature clearly teach that those who live in the desert does not and can not thrive more than those living in the mangroves, but the north would always lie and pretend about it. Now the naked truth is the emergence of ugly pictures from the zone showing severely malnourished women and children. Yet, no Nigeria newspaper is talking about it because they have been paid to keep mute and may they continue to be still like the stone until Biafra is restored. While we view the phenomenon as purely divine chastisement for the north to take precaution and support the emergence of Biafra, another sign has also taken place. The moon with which Islamic festivals are determined refused to surface! What other signs are the northern Islamic politicians seeking for? Isn't it a glaring handwriting on the wall for them to do justice? For them to support Buhari to take arms against armless Biafra is simply igniting the looming wrath of God against themselves. Do they think if war breaks out today that Sokoto, Kano, Jigawa, Zamfara, and all the northern States will be free from the effects if the war? Do they think it will be like 1967-70 that saw only the eastern region in battle with paid Nigeria allies and mercenaries? The north who already claim to be deeply religious should not underestimate the current moon phase phenomenon because it is not a good omen. It is on record that the Almighty God fights for the highly oppressed like the Biafrans and we are about to witness another series of Biblical plagues in our modern day. Time will prove us right as we eagerly wait to see the great fall of the West African Babylon. May such a wonderful fall come soon in our days, and in our lifetime, let us respond, Amen! A failed and hellish country created by evil and wicked men. 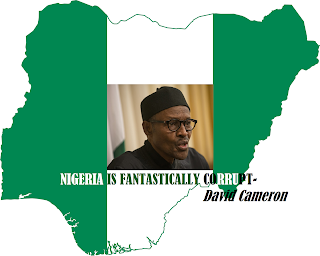 Let us stop deceiving ourselves about ‘one Nigeria’. There’s nothing like one Nigeria or unity. How can we talk about unity and one Nigeria with such gross injustice against Biafrans and you've been committing genocide against her since the creation of the evil contraption called Nigeria? By the way, Buhari and his northern jihadists should stop testing God's might and quickly let God's people - Biafra to go. Your continued delay and denial is a call for God’s wrath and total destruction of Nigeria.